Reduce prep time significantly with Pass-Thru™ technology. 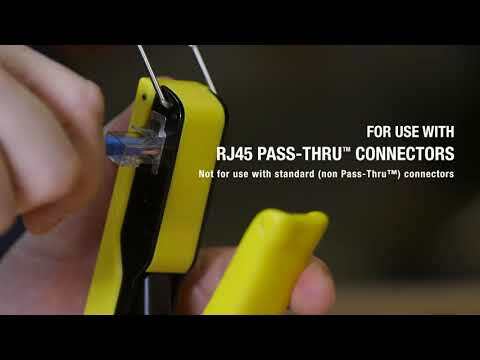 This compact tool crimps and trims paired-conductor wires in CAT5e/CAT6 cables. Wiring diagram on the tool helps eliminate rework and reduce wasted materials. For use with Pass-Thru™ connector plugs (in packs of 10, 50 or 200).